Will Audiences Go Crazy for ‘Crazy Love’? Michael Moore’s “Sicko,” about America’s healthcare system, continues to be one of the big stories out of the Cannes Film Festival thanks to the positive reviews of the film, White House threats of a ban over its climactic footage of US citizens seeking medicines in Cuba and disagreements over footage featuring Sen. Hilary Clinton in a less than positive light. Controversy is a tried and true marketing ploy for documentaries; one that has served Moore extremely well over the years. 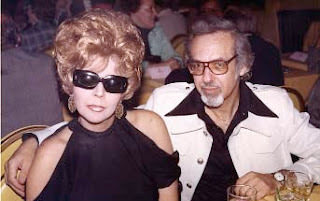 Another documentary worth talking about is “Crazy Love,” director Dan Klores’ rollicking good time of a film about the fifty-year love affair between lying husband Burt Pugach and his beautiful girlfriend Linda Riss (pictured left). The sadness, crimes and terrible actions between Pugach and Riss made New York newspaper headlines for many years but I wouldn’t call the film controversial. Instead, reviewing the film for “indieWire” at the film’s Sundance Film Festival premiere, I wrote of its great period music, archival footage of New York and fast-paced he said/she said interviews. “Crazy Love” does not generate anger like a Michael Moore polemic. Instead, Linda and Burt, the craziest lovebirds you’ll ever meet, let their unique romance and devotion to each other take command. In this case, controversy is not needed for a great time at the movies. "Crazy Love" premiered at the 2007 Sundance Film Festival. Magnolia Pictures will release it in New York on June 1 and in theaters across America throughout the summer. There are numerous reasons critics and journos choose to support favorite filmmakers. Surprisingly, the consistent quality of their films isn’t always at the top of the list. 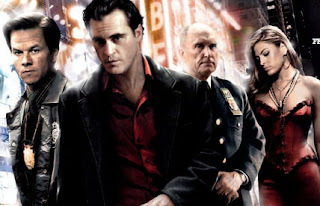 Case in point is James Gray, whose last film, 2000’s New York drama “The Yards,” failed to match the intensity and intelligence of his debut film, the Russian mob drama “Little Odessa.” Those who pay close attention to the business of moviemaking will tell you that the movie audiences watched was not the same film Gray intended. His was a case of a young filmmaker losing creative battles with the company behind his movie. Seven years after box-office defeat, Gray is at Cannes with his 1980s-set crime drama “We Own the Night,” about a war between New York police and the Russian mob, starring Joaquin Phoenix and Mark Wahlberg, his stars from “The Yards.” Gray’s latest film, just his third in twelve years, screens for Cannes audiences later this week but the film has already been bought by Columbia Pictures with plans for an Oscar-focused, late 2007 release. It’s a bold comeback for Gray and proof of what I admire best about him: enthusiasm for storytelling, a refusal to sell out and an unwavering belief in his art. It’s something I remember vividly upon first meeting Gray at an East Village bar to talk about “Little Odessa” and I’m betting that enthusiasm remains as fierce as ever.